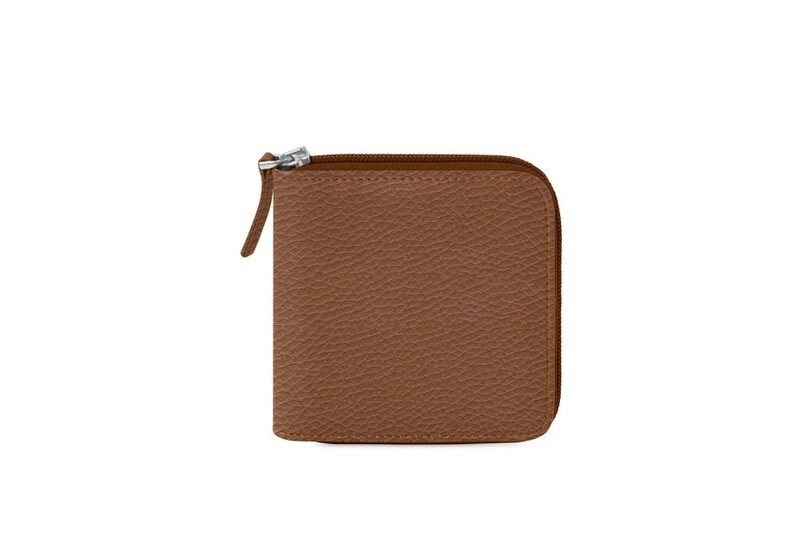 This men’s leather wallet is one perfect gift that can be customized with initials or a contrasting thread color for example. 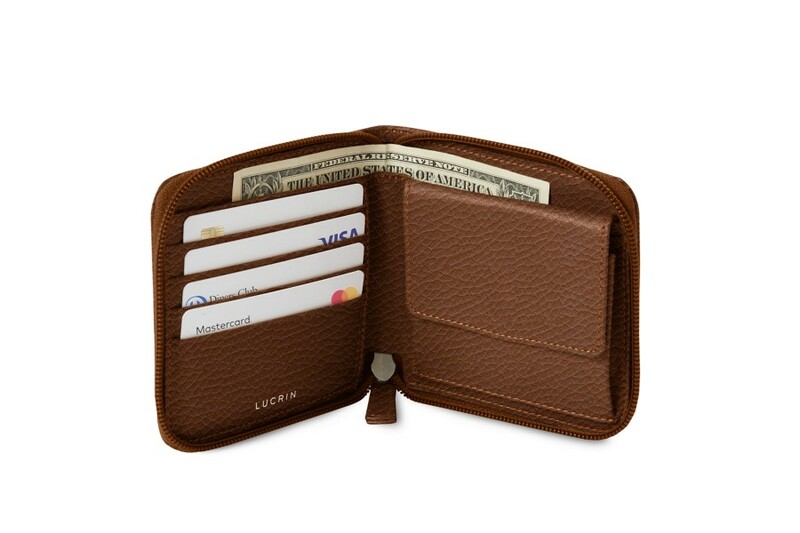 Destined for the modern and trendy guys out there, here is the ideal leather wallet. 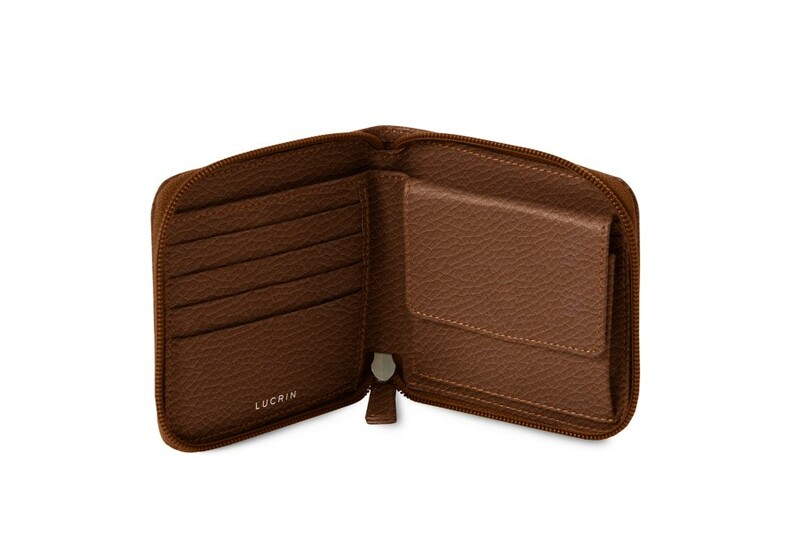 This luxury zipped man wallet also has 4 credit card slots, a large flat pocket for bills and another one equipped with snap button closure for coins. 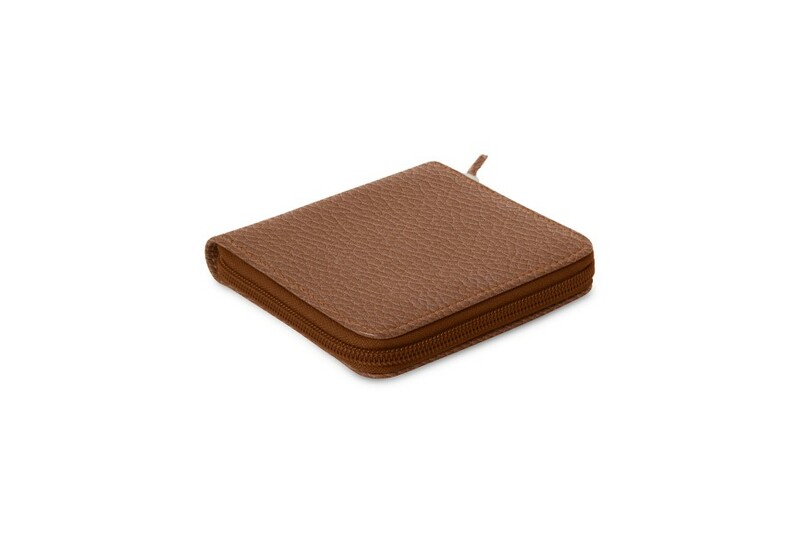 Secure closure with a tone-on-tone zip.